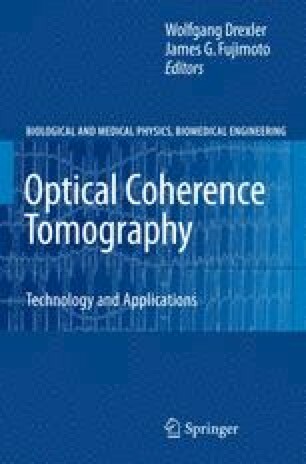 Optical coherence tomography (OCT) and laser induced fluorescence (LIF) are promising modalities for tissue characterization in human patients and animal models. OCT detects coherently backscattered light whereas LIF detects fluorescence emission of endogenous biochemicals such as reduced nicotinamide adenine dinucleotide (NADH), flavin adenine dinucleotide (FAD), collagen, and fluorescent proteins, or exogenous substances such as cyanine dyes. Given the complimentary mechanisms of contrast for OCT and LIF, the combination of the two modalities could potentially provide more sensitive and specific detection of disease than either modality alone. Sample probes for both OCT and LIF can be implemented using small diameter optical fibers, suggesting a particular synergy for endoscopic applications. In this chapter, the mechanisms of contrast and diagnostic capability for both OCT and LIF are briefly examined. Evidence of complimentary capability is described. Three published combined OCT-LIF systems are reviewed, and existing and potential endoscope designs are illustrated.